This book was written for the general reader, a health care provider, a counselor, a person struggling with their own or anothers obesity, in short, someone who wants a deeper understanding than is likely to be provided by newspapers and magazines. It was not written for scholars and scientists who have their own sources of information. Certain words and ideas which may not be familiar to everyone are explained in an appendix. Another appendix is provided for persons who are interested in the mathematical basis of some measurements. 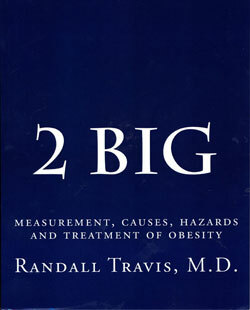 The text is a critique of the scientific evidence concerning the origins, consequences, prevention and treatment of obesity. The evidence is found in a difficult literature which must be approached with skepticism but recognizing that there are established if sometimes painful truths. Among the painful truths is the fact that much of what is published, especially in the popular media, but also in professional publications, is false, arguably fraudulent, disingenuous, or mistaken. There can be no doubt that the subject is, from a scientific perspective, difficult. The physiological systems which regulate body composition and size are complex, incompletely understood and not easily studied in humans. In laboratory animals it is possible to control many important variables, genetics, gender, age, dietary intakes, physical activities, type of data obtained, and duration of observation. In humans there are serious limitations on the quality of control of these variables. It should not be forgotten that laboratory mice do not voluntarily smoke tobacco or drink alcoholic beverages. However, the importance of this subject cannot be overestimated. The prevalence and rise in obesity is appalling. The cost in human misery and economic resources is heart breaking. Only by developing an evidence-based, validated, confirmed and penetrating scientific understanding of obesity can present trends be reversed. Randall Travis has enjoyed multiple careers. For about 20 years he performed endocrine research and taught metabolism and nutrition at Case University School of Medicine. He was founder and director of the Division of Endocrinology at Cleveland Metropolitan General Hospital, a teaching hospital of the Case University School of Medicine. His most recent career was 12 years of practicing endocrinology and general internal medicine in rural Vermont.